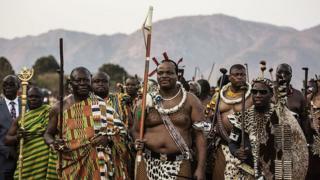 The son of Sobhuza II, who reigned for 82 years, King Mswati currently has 15 wives. According to official biographers, his father took 125 wives during his reign. Why would a country just switch its entire alphabet?